The Avenues Street Fair has been an annual celebration for residents of the storied Salt Lake City neighborhood for more than 30 years. It’s the season for local downtown festivals, with the Greek Festival and 9th and 9th Street Festival, and this event kicks off with a children’s parade (youngsters decorate their bikes and pets). Residents of all ages will be displaying their work in the People’s Art Gallery. This year’s featured artist at the fair will be Kathy Wilson—part of the local art scene for 40 years—who designed this year’s festival T-shirt. This year’s fair will feature more than 260 booths, including food vendors, non-profits and artisans. Booth applications are juried for appropriateness, including “look and feel,” to ensure the atmosphere that attendees have grown to expect as a representation of the historical and diverse section of town, and around 10 percent of the booths are dedicated to non-profit organizations. Life Flight and the local fire department are also slated to have displays. Stages at each end of the fair will provide music and other live entertainment throughout the day. The lineup includes rock bands Patter Stats, Rock’n’Roll Academy, Atomic Amy and the Spent Rods, Sophie Barton, Andrew Goldring and Patter Stats; jazz from Joshua Payne Orchestra and Wasatch Jazz Project Big Band; “Rising Sound Band” from the First Presbyterian Church delivers Gospel sounds; Celtic music with Waking Erin; folk musicians Time River and Otter Creek; and bluegrass with Tangle Ridge. 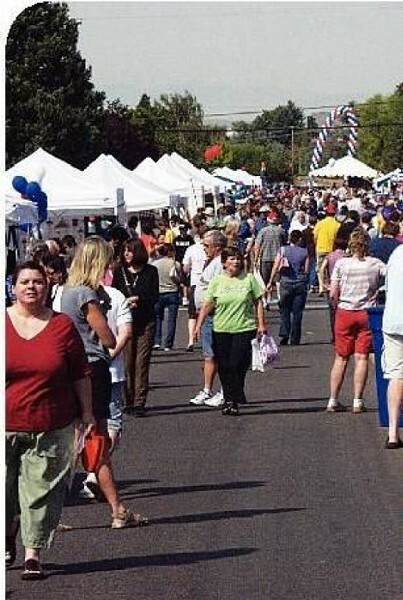 Avenues Street Fair @ 9th Ave between D and I Streets, 801-390-8531, Saturday, Sept. 12, 9 a.m.–6 p.m.